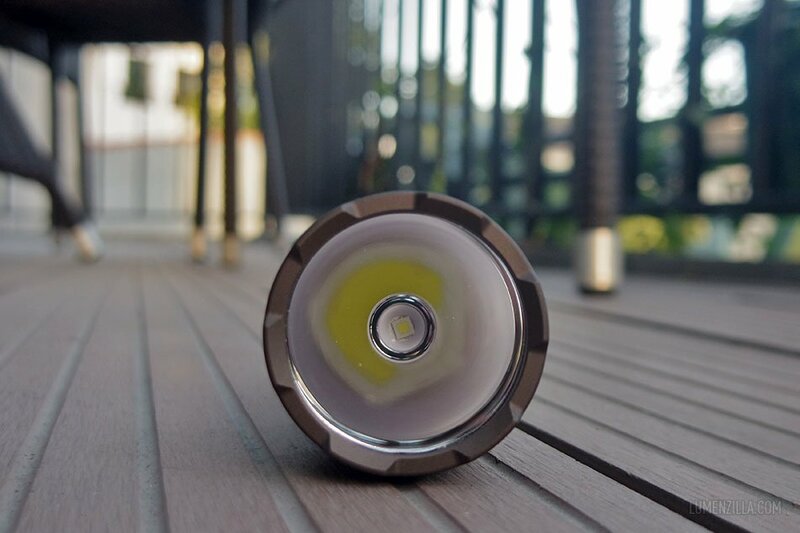 Convoy C8+ is a successor of Convoy C8, utilises a XPL-HI LED with 2800 mA output from single 18650 battery and has many improvements on host/body design. 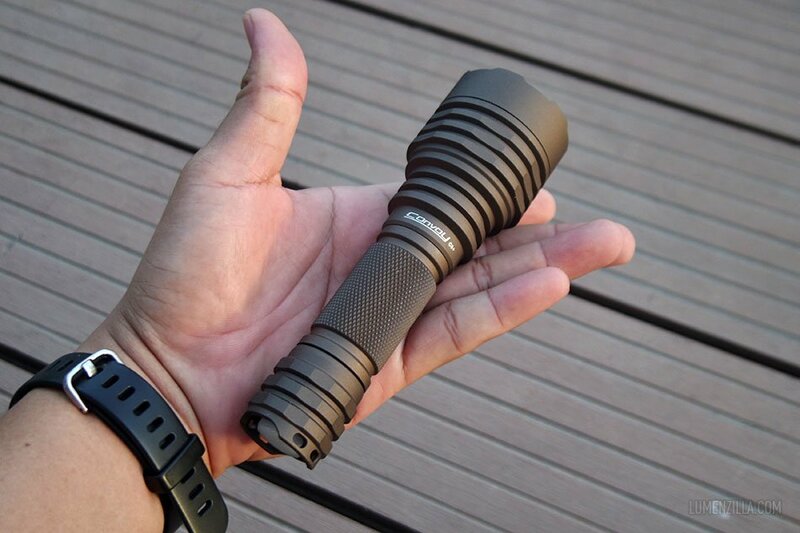 I got a Convoy C8+ from DD4 in sand brown colour for reviewing purpose about three weeks ago and here’s my report after using either in urban or jungle environment. 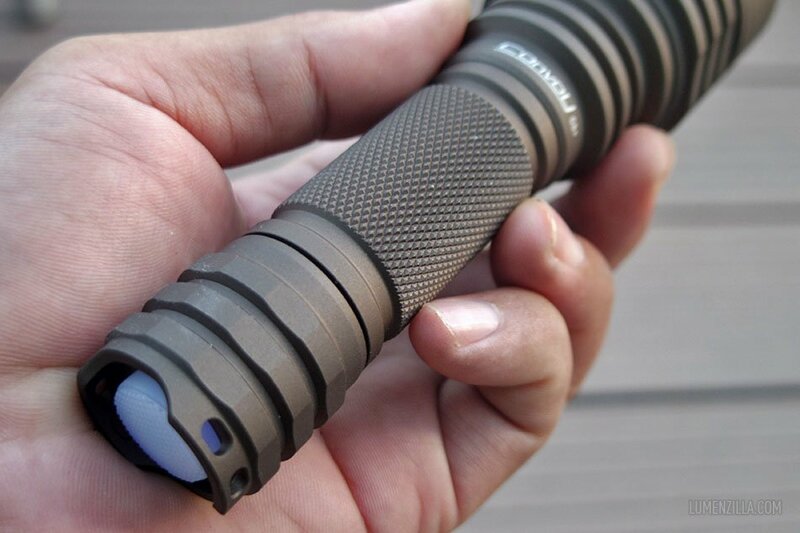 Convoy C8+ can be easily distinguished from its previous version (C8, without “+” sign) by its entire appearance. The newer version has full of fins on the head for better heat dissipation, aggressive knurlings for better grip, and new U-shape design on its tail cap for easier clicky operation. The dimension is not very different with previous version and still using reverse click switch. I have replaced the switch board with the lighted one (blue) and using transparent rubber switch. This sample product has XPL-HI V2-1A 6500K for the emitter with AR coated lens and smooth reflector. For the engine, Convoy puts a Biscotti driver with 8 x AMC7135 and secure it with brass retaining ring. 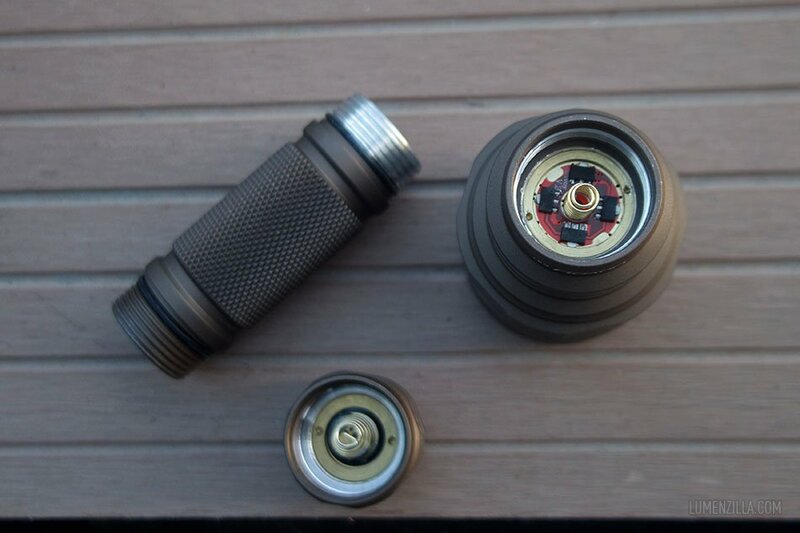 What I like from Convoy brand is they don’t glue any part of the flashlight. Disassembling C8+ host is hassle-free and can be done with very minimal tools. With or without knowledge in electronic, anyone can modify Convoy C8+ to fit their needs. 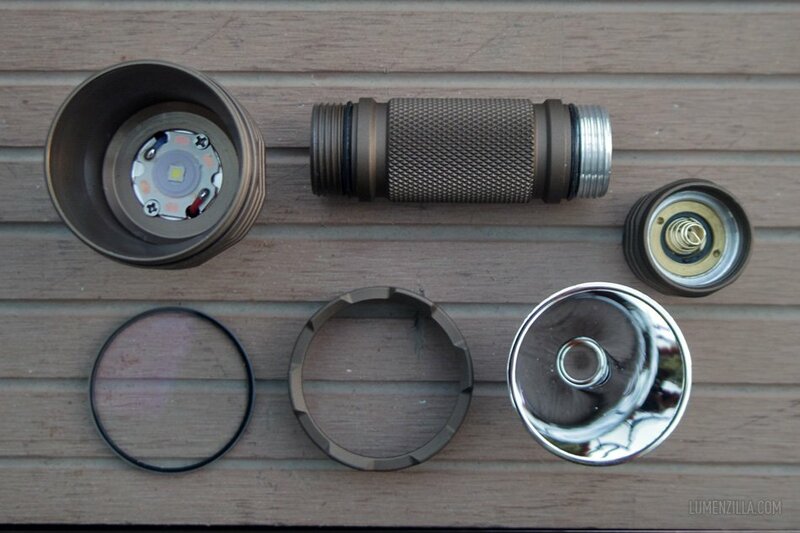 At Convoy’s online store, we can purchase stainless steel bezel, short body tube to accept 18350 battery, easy to install switch board with LED to create lighted switch, and also replace the reflector with orange peel one. With newer firmware, we can customize how we will use Convoy C8+ by selecting a group from 12 pre-defined group modes. To choose a group mode, we must enter the programming mode first. 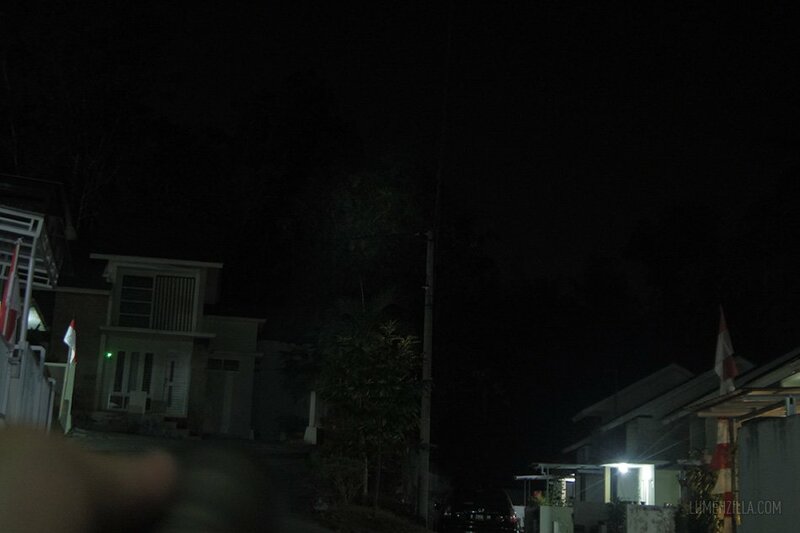 To enter into programming mode, turn on the flashlight by fully press the switch and tap several times until the light start to blink. In this programming mode, we can select the desired group mode and turn on or off the memory feature. My choice is group mode number six where the flashlight has 3 different brightness mode (100%, 20%, 1%) and disable the memory feature. 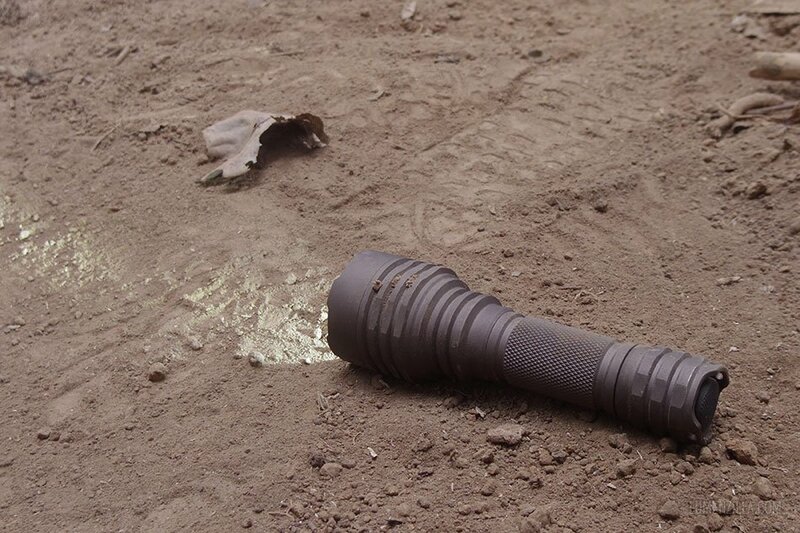 Convoy C8+ is a true thrower flashlight, period. 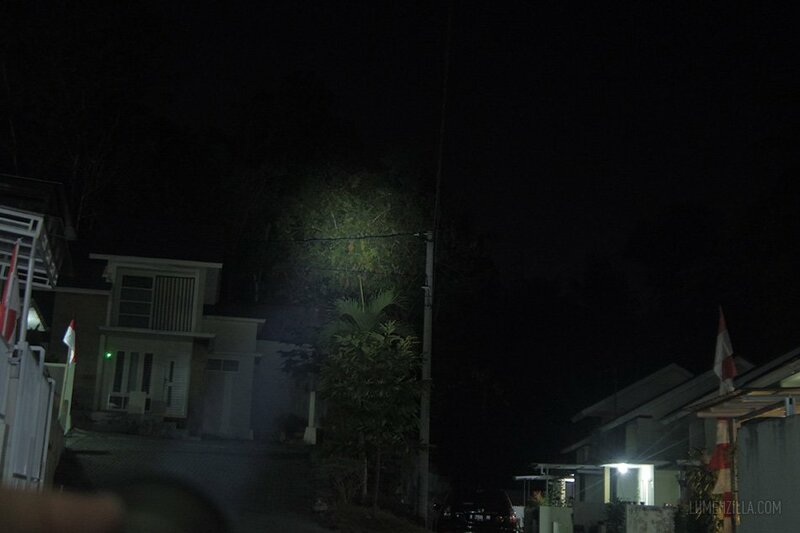 The beam is very focused and very little spill around the hotspot. 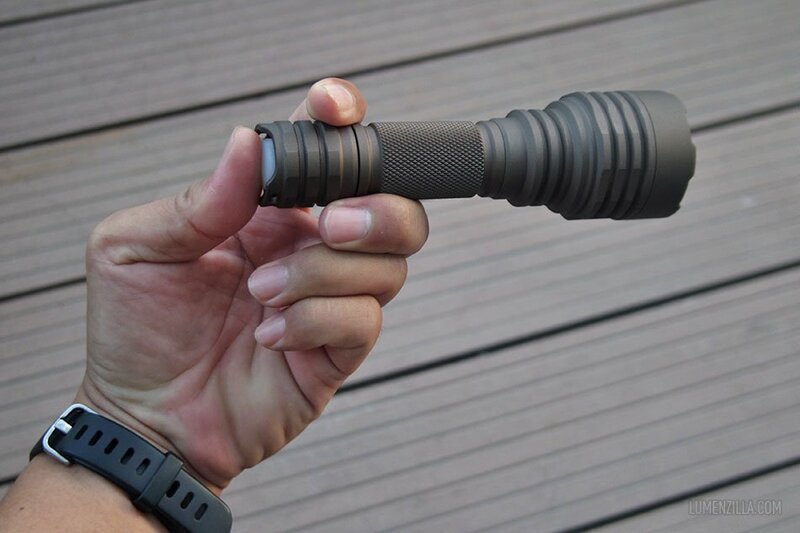 Convoy C8+ is good and affordable thrower flashlight with four different tint colours offered. 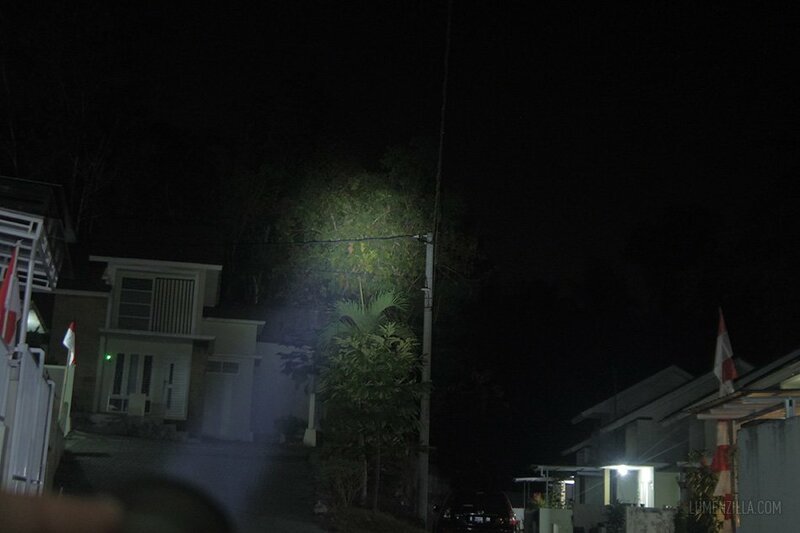 Because of its beam profile, this is a good flashlight for long distance illumination like search (SAR) mission. 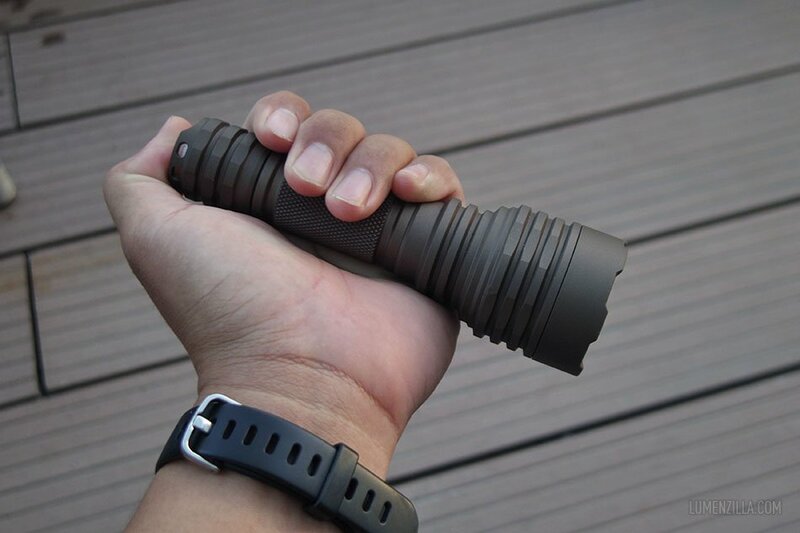 It’s not ideal for EDC and close range illumination. It’s available in black and dark brown body colour and is highly customisable.